From educating with Teach for America in New Orleans, lobbying for human rights in Washington, D.C., serving those with HIV/AIDS in East Africa, and working as an Episcopal priest in three states, Laura Getty's’ passion for urban ministry and social justice has been a continuous part of her journey. A Memphis native, Laura studied English and Religious Studies at Rhodes College and received a Master’s in Divinity from Virginia Theological Seminary. 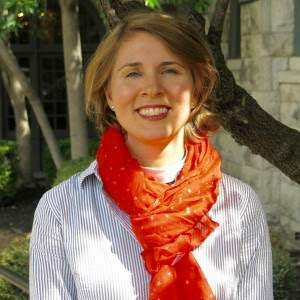 Laura currently serves as Canon Pastor for Parish Life at St. Mary’s Episcopal Cathedral in Memphis, Tennessee where she oversees pastoral care and neighborhood outreach. Laura’s work is guided by the belief that holy ground is everywhere, and she is passionate about creating opportunities for others to experience that reality by partnering with community action groups to educate, worship, and have a little fun. A few such efforts include joining with Moms Demand Action to host an interfaith vigil for those killed as a result of gun violence; coordinating the 125th Anniversary of People’s Grocery Lynching; hosting the Memphis School of Servant Leadership “Listen for a Change: Sacred Conversations of Race”; and leading a Lenten field trip tour to Slave Haven Museum and lynching sites. Laura has worked with and served on boards for the Memphis Christian Pastors Network, The Memphis Interfaith Coalition for Action and Hope, and Overton Park Roots since listening to others’ sacred stories is one way to find solutions for human divisions. With two boys aged five and seven, Laura and her husband Josh find life full of loving laughter and little toy cars. A little known fact about Laura: she once had a skydiving venture she would describe as “jumping out of a perfectly good airplane.” Having recovered from her daredevil ways, a few of her current favorite things include good poetry, stargazing, the color green, and whales.